Try your hands at these for some tasty treats and something to fill your days and tummy this Christmas. If you are not the best at keeping track of time, use a stop watch to ensure you don’t burn anything. 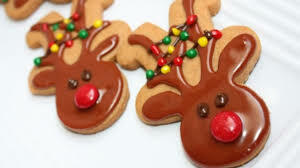 Also please remember to be careful whilst making these festive treats, we do not want any injuries. Enjoy your treats whilst watching Christmas movies (last year’s recommendations but still Christmas classics). We hope this blog post has been useful and you try these tasty treats; please see our other blogs for more information. The Student Support Centres are located at50 Park Place, Cathays Campusand Cardigan House, Heath ParkCampus. Chocolate and ginger squares…it even sounds tempting. I am definitely going to try this out to savour my sweet tooth.